Different types of rehab centers. If a person is struggling with drug addiction, it is of vital importance that they receive help for that particular addiction as quickly as possible. However, before you can get someone the help that he or she may need, it is important to understand the basics of recovery. Dependence is a complex physical and mental problem. 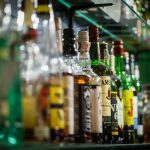 In order to deal with drug or alcohol addiction in an effective manner, you have to understand that there is no ‘one-size-fits-all’ approach. Every person has his or her own assortment of unique issues that have to be taken into consideration. The substances they are currently addicted to. The length they have been dependent on those substances, empirical studies make it clear that long-term dependence requires a different approach as compared to short-term dependence. Are there additional problems that have to be taken into consideration? What is their budget for drug rehabilitation programs? Because many recovery centers offer different types of rehab centers and programs, you may logically conclude that finding the right type of recovery center is more challenging than picking one out from a list. That is the correct assumption. Before you know what would be the right fit for you, you have to understand your options. Before we jump into a brief overview of some of the more popular available drug recovery centers, it is important to realize that everyone is different. Some people are able to take much faster progress through the rehabilitation process. Perhaps they have a great support system waiting for them once they leave a rehabilitation clinic; this person could potentially need far less counseling than a patient who has no one to fall back on. Even though the evidence is in favor of long-term, inpatient rehabilitation, this may not always be an option for certain patients. If a single mother struggling with an addiction to cocaine decides that she wants help but does not have anywhere to leave her children, this may be the only possible option. She cannot leave her children unattended, she is going to need to work to pay the bills and outpatient therapy may be the only option available for her even though it has a lessened success rate. Of course, there are also preferences to consider. Some patients prefer a luxury rehabilitation facility that allows them the comforts that they are used to. Even though there is evidence to suggest that luxury rehab programs work better for those patients accustomed to that particular lifestyle, many patients would still suggest that this is mostly based on preference rather than need. There are countless different types of recovery centers, and it is impossible for us to list them all here. These programs begin at 60 days or longer. These are considered the ‘gold’ standard for drug rehabilitation because there is so much evidence that suggests they offer better results. This treatment is residential, meaning that the patient actively lives in the recovery center. This allows the focus to be on getting better without any possible outside distractions. It removes the patient from the current environment that may or may not be conducive to drug abuse. The comprehensive, uninterrupted care received here cannot be compared with anything else. These are often based on the 28 or 29 day rehabilitation treatment programs. Even though 30 days or less may not be enough to enact long-lasting change for many patients, the residential nature of the program still gets the patient out of his or her current situation. Although the odds of success are lower statistically speaking, it comes down to being better than no rehab, with the right rehab program and assistance. There are people who love the idea of outpatient care, but it is especially important that the patient have a realistic idea about his or her own determination on the road to sobriety. Even though it may offer many of the same therapeutic addiction care options that you may find at inpatient recovery programs, it means that patients return home at the end of the day. 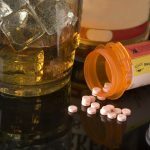 Though it is possible to drug test patients to ensure the integrity of the program, many patients in recovery find it excessively difficult to remain sober on their own. This may conjure up notions of celebrity style spa vacations and extravagance, it really is nothing quite like that. What you will find here is evidence-based practices and innovative treatment services. Because these types of programs are more expensive, the staff to patient ratio is much lower than with the traditional rehabilitation clinic. Because of the additional funds, it is often easier for these programs to build a complete program around the patient. These are often the exact opposite of the luxury treatment option. Because they are state-funded (meaning that patients contribute nothing or very little to the overall cost of the rehab), it often means that the latest innovations may not necessarily be available in these types of programs. Additionally, waiting periods before a patient is able to enter rehabilitation may be quite long as well. Oftentimes patients have to rely on their insurance to pay for this type of treatment program or pay out of pocket themselves. Because they are more expensive, they again have added benefits such as smaller waiting lists and a better staff-to-patient ratio. With so many different available types of rehab centers, it is important to weigh your options before you make a decision. Learn more about how we can help you get the treatment you need, call now and get started on the path to lasting sobriety.